ICYC 2018 is just around the corner and will take place on November 16-18. 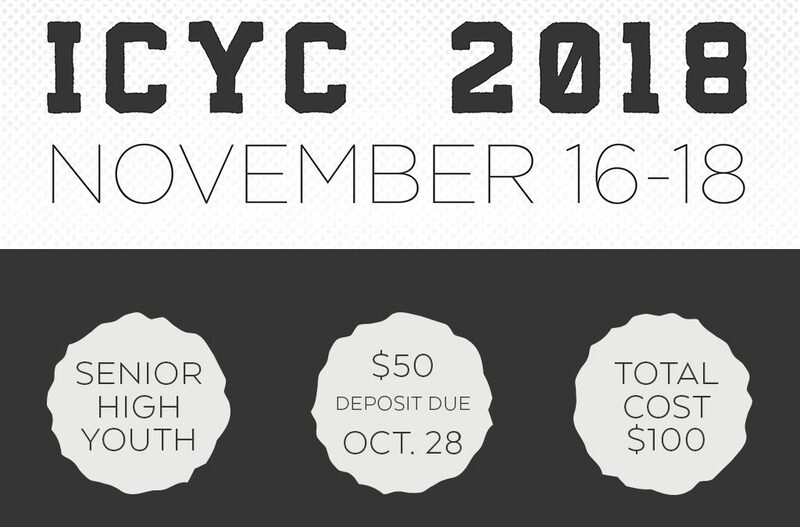 ICYC is an Indiana Christian Youth Convention that will leave your students inspired and encouraged to serve the Lord. To attend you must register and pay a $50 deposit by October 28th. The total cost to go is $100. If you need financial assistance, please see Craig Taylor.